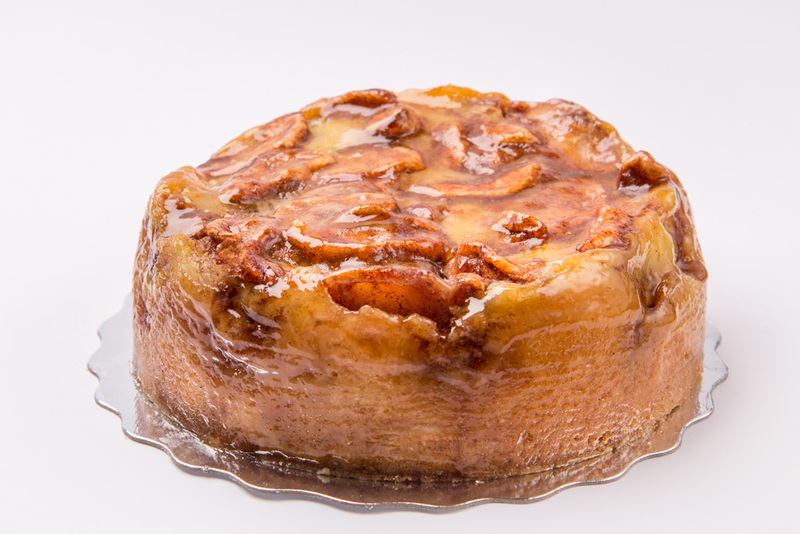 Looking for something sweet for your Thanksgiving table? Look no further. 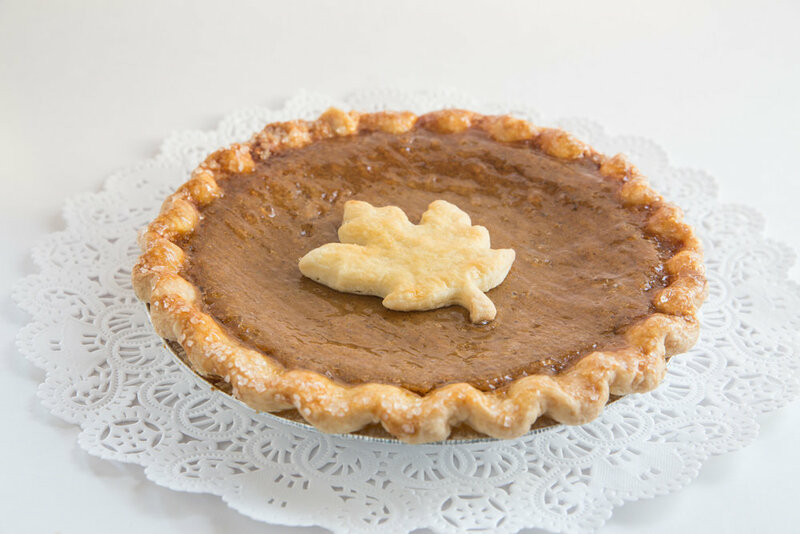 $18.99 8" / $29.99 10"
Traditional pumpkin pie. Serve with fresh cold whipped cream or a scoop of Greg's Sweet Cream ice cream. 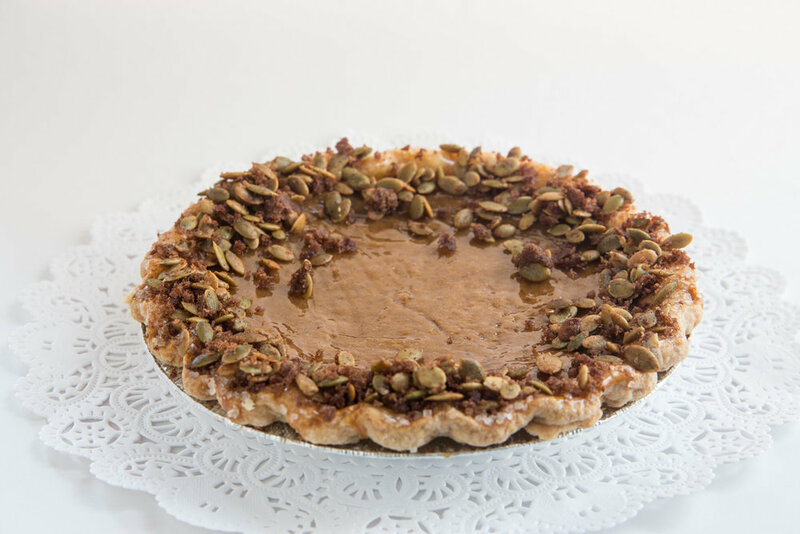 $19.99 8" / $31.99 10"
Traditional pumpkin pie decorated with spiced pumpkin seeds. 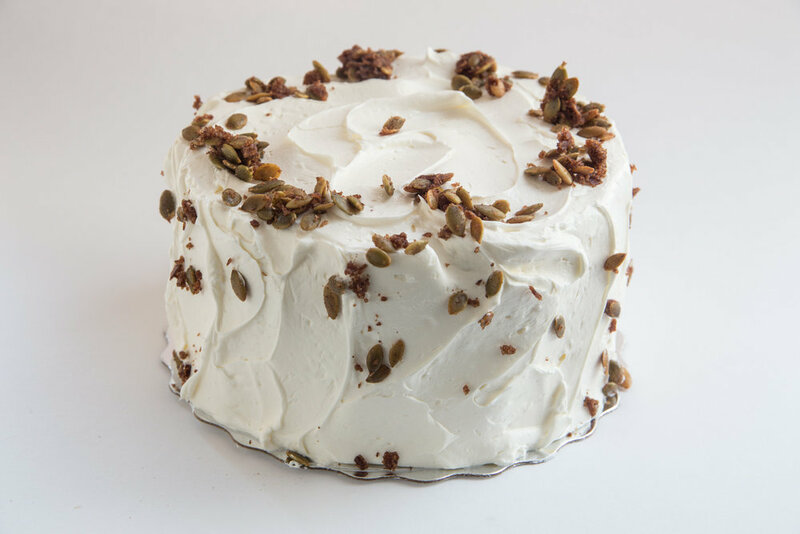 Beautiful, moist pumpkin spice cake iced with cream cheese frosting and spiced pumpkin seeds. $26.99 8" / $49.99 10"
Celebrate with apples. Butter cake topped and baked with mounds of apples, spices, and brown sugar. 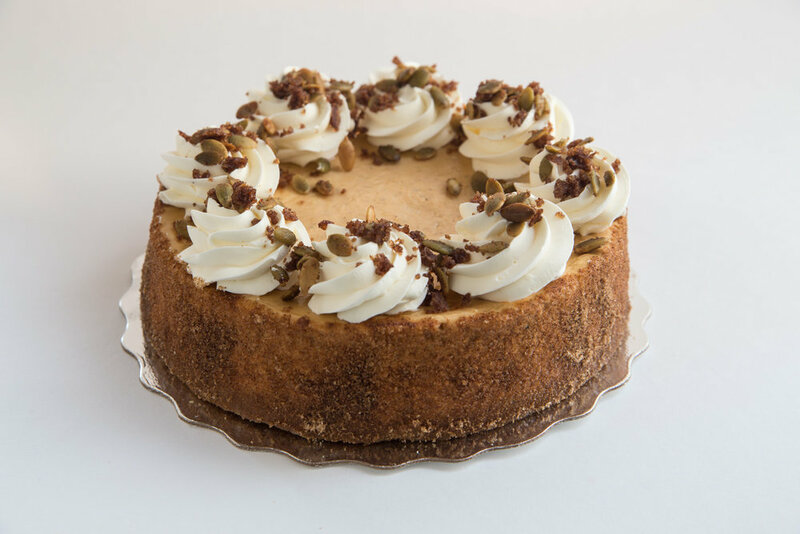 $33.99 8" / $58.99 10"
Two fall flavours - maple and pumpkin come together for this spiced pumpkin cheesecake. Moist pumpkin cake topped with maple-sweetened drizzle and our cinnamon-spiced pumpkin seeds. 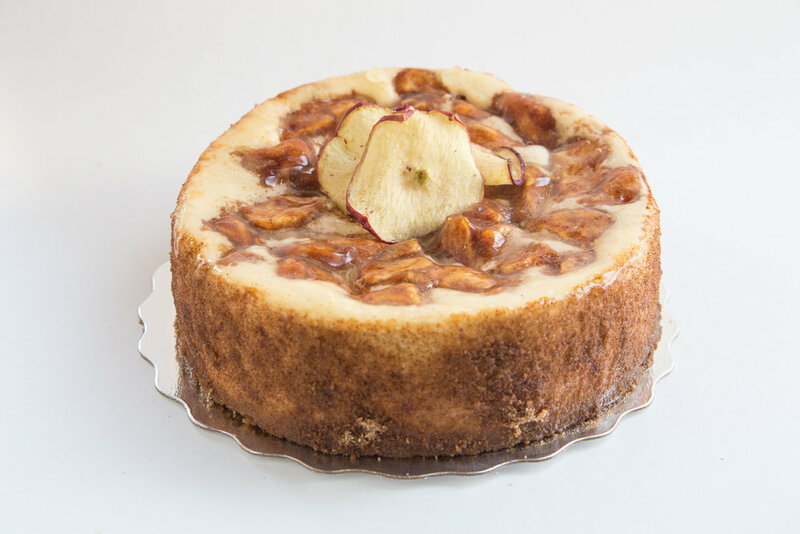 Creamy cheesecake baked with cinnamon apples. Available with a double crust or crumble top.